FR44 & SR22 Insurance Experts - your choice for FR44 Florida Insurance. We are a family owned company that provides the DUI Insurance and High-Risk Insurance you need. We have Florida's cheapest prices for the highest rated Florida FR44 policies available. If you need FR44 Florida Insurance, we are the right company for you. We put customers first, we have been in business for over 10 years and specialize in Florida FR44 Insurance. We offer free quotes. FR44 Insurance for Florida is available within 5 minutes of your call. FLORIDA FR44 FILED IN 5 MINUTES! We can have your Florida FR44 bound and filed with the state in less than 5 minutes. We help people get licenses reinstated, even if they are standing at the DMV! We shop a number of companies to ensure you always have the best product at the best price. If you have a vehicle you need an Owner Policy. If you do not own a vehicle you need an Non-Owner policy. It is really as simple as that. We can explain what this means when you call. WE HAVE BEEN HELPING WITH FLORIDA FR44 INSURANCE FOR YEARS. WE LISTEN TO YOUR SITUATION AND TELL YOU THE BEST COURSE OF ACTION TOWARD HAVING YOUR LICENSE REINSTATED. While we process quotes as quickly as we can in the order they were received, we get a lot of requests for Florida FR44 Insurance. Many times calling is a faster way of getting your quotes and learning your options. Meet Sam Ridgeway. Sam is the owner and managing partner of Fr44 & SR22 Insurance Experts. One of the questions Sam expects people to ask is “Why should I work with FR44& SR22 Experts?” Individuals that have been classified as “high-risk drivers”, which can be the result of many things including a poor credit score EVEN IF IT’S NOT YOUR FAULT!!! may find themselves in need of this insurance. One of the requirements of license reinstatement in Florida after a DUI conviction is FR44 Insurance. Providing GREAT insurance, meaning insurance with an A-rated carrier, is a very specialized market that most insurance companies do not participate in. Most insurance agents have very limited knowledge and experience in providing this insurance for high-risk drivers. This means that they are not as familiar with, and efficient in providing, the necessary forms, paperwork, and additional requirements that a high-risk policy requires including the FR44 and SR22 financial responsibility forms. Sam recommends that you call FR44 & SR22 Experts first and let his talented team of professionals provide the FR44 and SR22 requirements while keeping your existing insurance if at all possible. This may be the least expensive alternative although it is not always available once you have been classified as a “high risk” insured. Sam and his team write literally thousands of FR44 and SR22 policies each year, it is what they specialize in. They know the requirements and are available on a moments notice. They work with the DMV or the Insurance Company to make sure your policy and your paperwork meet all the requirements and that it gets approved on the spot. Customer service is important. 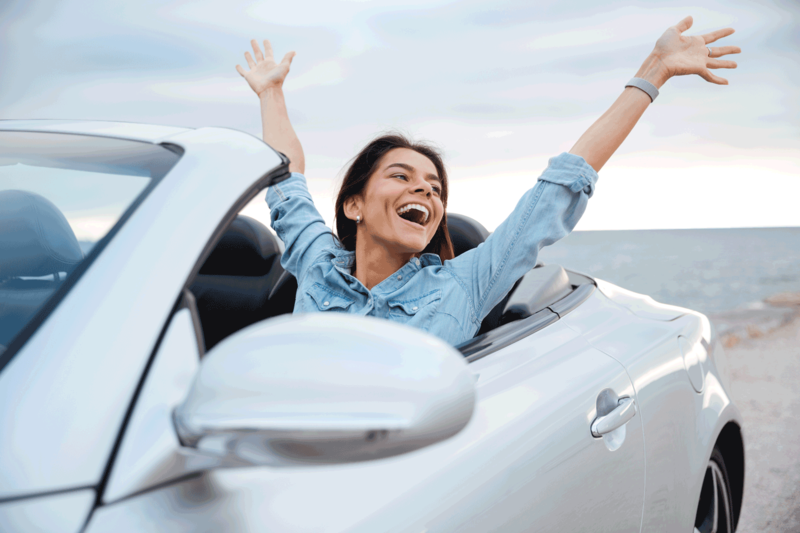 Unless you are dealing with an expert, if there is any issue with the paperwork either when you apply for your license reinstatement or afterward, most insurance companies will not have the knowledge or the experience to solve the issues. FR44 & SR22 Insurance Experts have a customer service department specifically trained in any problems or hiccups in the process and are available to immediately and efficiently solve the problem. That is one of the extra benefits of dealing with an expert in this field. There is no reason to leave something as important as your FR44 or SR22 coverage to chance, trust the experts, trust the people that write FR44 and SR22 Insurance all the time. Trust FR44 & SR22 Insurance Experts. Why work with FR44 & SR22 Insurance Experts – FR44 and SR22 Insurance is all the team does, they are one of, if not the largest, producers of this insurance, and they do it well. Call or contact the team for your FR44 Insurance today! FR44 & SR22 Experts are the Industry Leaders in the Florida FR44 insurance market. We literally sell thousands of policies every year. Today we discuss how long it takes to actually get a Florida FR44 from the time you call until your policy is bound. There’s a reason this is an important question. Every day we have people call us and say, “I need an FR44, like yesterday”. Some went to get their driver’s license reinstated and were told they need to get an FR44 first. Others were getting an ignition interlock device and were told they need an FR44 before the company would install the product. Still others show up to court and are told they need an FR44 in place before their hearing starts in 10 minutes. The common theme to all of these cases is that the DMV isn’t always good about telling people what they need. Many times people show up to get their license back in good standing and that’s the first time they hear about this thing called an FR44. The good news is it usually takes longer to enter your information into the system than it does for us to shop the best rate across over 10 different companies and bind your policy. We work with all of the appropriate governmental agencies on an electronic basis so your FR44 certificate can be generated immediately and faxed to the appropriate entity within minutes. It’s pretty common around here to get a call from someone in line at the DMV and, before they get called to the window, we have their FR44 Certificate sitting on the local fax machine. So the answer to the question, “How Fast Can I Get an FR44?” is… within minutes. However, you have to work with an agency that’s familiar with the FR44 process. You have to work with an agency that can electronically file your documentation on your behalf. You have to work with an agency that can intervene, if necessary, and talk the talk, if the DMV gives you grief over your suspension. At FR44 & SR22 Experts, we are that agency. This is our specialty and we write literally thousands of FR44’s every year. Call us today at 1-855-678-6977 to speak with one of our licensed insurance professionals. We even have agents that speak Spanish. You can also access our cutting edge Quoting Software at www.MyFloridaFR44.com for FREE, no obligation quotes from over 10 companies. When Do You Need FR44 Insurance? If you were convicted of driving under the influence of drugs or other intoxicants, you’ll need a Florida FR44. In fact, this will be a requirement in order to get your drivers’ license reinstated. The court will order you to get Florida FR44 Auto insurance so if you haven’t been told you need it, you’re probably okay. However, if you’ve been convicted of a DUI, I would check with the Department of Motor Vehicles to verify your status. Many times they suspend driver’s licenses with no prior notification. They claim they notify people, but there have been far too many of our clients that didn’t receive anything prior to the suspension. Now the FR44 filing process must be completed successfully before a Florida DUI driver can reinstate their license. The requirements are: $100,000 for each per person you might hurt, $300,000 for multiple people you might hurt, and $50,000 to cover any Property Damage. You may see this coverage listed as 100/300/50. To put this into perspective, the State requirement in Florida for non-high risk drivers is 10/20/10. So the FR44 at 100/300/50 is far higher… and it’s more expensive. After a Florida FR44 Insurance policy is issued it cannot be canceled. You will need to keep an FR44 for a period of 3 years from your conviction date. If you let the policy lapse at any point within that timeframe, your license will be suspended immediately and your 3 years will start over. As you can see, it’s very important that your FR44 policy doesn’t lapse. It should also be noted that you don’t actually need to purchase a Florida FR44 if you have no intention of operating a motor vehicle. If you simply wait for three years from your conviction date to drive, the FR44 requirement will fall off of your record all by itself. Unfortunately most consumers, and many insurance agents, are totally unfamiliar with Florida FR44 insurance. And recent changes to the law have only added to the confusion. At FR44 & SR22 Experts, we specialize in high risk insurance. We also impartially shop the market with over 10 A or better rated companies in order to find you the absolute best price. And, since insurance companies can charge pretty much whatever they want on high risk policies, the pricing varies sometimes by over a thousand dollars for the exact same coverage from one company to the next. Call us today at 1-855-678-6977 or use our FREE Quoting Engine at www.MyFloridaFR44.com for your Florida FR44 Insurance. We even have bilingual agents available. In under 5 minutes we’ll get you the lowest price on your insurance and we’ll provide unparalleled customer service if you ever have a question or issue in the future. We’re looking forward to helping you get your license reinstated and we’ll have you back on the road the same day! Today I want to discuss the topic of “What Is a Florida FR44”? In simple terms, a Florida FR44 Auto Insurance Policy has three main coverage components. You’ll often see the coverage listed as 100/300/50 on the Insurance Policy. When reading the FR44 Auto Insurance Policy, the 100 means you’re covered up to $100,000 for any bodily injury you would inflict, $300,000 is the maximum payout for the injury of 2 or more people, and $50,000 is the maximum paid for any property damage you might have caused. You can always purchase more Insurance coverage, but you won’t be legal if you purchase less Insurance coverage. There are two “flavors” of Florida FR44 Auto insurance. If you have a vehicle, you’ll want what’s called a Florida FR44 Owner Insurance Policy. If you don’t have a vehicle, you can purchase a Non-Owner Insurance Policy. The Florida FR44 Non-Owner Insurance policy will always be the cheapest way to go since the insurance company doesn’t have to cover the insurer for the cost of replacing a vehicle. Now we understand that receiving a DUI in Florida is probably one of the most frustrating events of your life. While there’s nothing we, or anybody, can do to make it a “pleasant experience” overall, we can certainly make purchasing a Florida FR44 policy CHEAP. We specialize in Owner and Non-Owner Florida FR44 Auto Insurance Policies. By shopping the market across multiple insurance companies, we’re able to find the cheapest Florida FR44 Insurance with an A Rated or better company. There are so many variables when it comes to Florida FR44 insurance policies. The fastest way to get quotes from multiple insurance companies in less than 5 minutes is to call 1-855-678-6977 and speak with one of our licensed insurance professionals. We have both English and Spanish speaking agents available. Don’t make this harder than it has to be. Call the FR44 & SR22 Insurance Experts Today. Receiving a DUI in Florida is probably one of the most frustrating events of your life. While there's nothing we (or anybody) can do to make it a "pleasant experience" overall, we can certainly make it CHEAPER. We specialize in Non-Owner and Owner Florida FR44 Insurance Policies. By shopping the market across multiple insurance companies, we're able to find the cheapest Florida FR44 Insurance with A rated or better companies. This philosophy allows us to repeatedly sell literally thousands of policies each year while giving Floridians what they're looking for... getting their drivers' license reinstated. In fact, by shopping the market, we generally find Florida FR44 policies that are thousands of dollars cheaper than competing quotes. Let us find you the lowest price today! Call us at 1-855-678-6977 or access our Online Quoting Page for Free, No Obligation Quotes. In simple terms, a Florida FR44 has three main components. You'll often see the coverage listed as 100/300/50. These numbers represent the coverage required on the policy. You can always purchase more coverage, but you won't be legal if you purchase less. For a more detailed explanation of these terms, please visit our FAQ's Page. You can also purchase two "flavors" of Florida FR44 insurance. If you have a vehicle, you'll want what's called a Florida FR44 Owner Policy. If you don't have a vehicle, you can purchase a Non-Owner Policy. The Florida FR44 Non-Owner policy will always be the cheapest way to go since the insurance company doesn't have to cover the cost of replacing a car. For a more detailed explanation of Florida FR44 Owner and Non-Owner policies, visit our Owner vs. Non-Owner page. What Does a Florida FR44 Cost? Unfortunately this is like asking, "What does a car cost"? There are far too many variables to consider when purchasing insurance; age, gender, location, driving record, etc. However, by working with an agency that can shop across multiple companies, you can be assured you'll always be getting the best price. 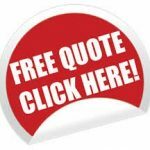 If you'd like to get free quotes, please visit our Free Quotes Page. How Long Do You Have to Carry a Florida FR44? If we had to give a quick answer to this question, it would be three years. This is from the date of your conviction; not the date that the incident occurred. While the legal system can make exceptions, we'd say three years is the requirement in a vast majority of cases. Long Does it Take to Get a Florida FR44? The quick answer is Less than 5 Minutes. As soon as we have all of the required information, we shop multiple companies through a powerful Quoting Engine. This allows us to quickly find the lowest price and, since we only work with "A" rated companies, you can be assured we'll only recommend carriers that will be there for you if something goes wrong. We routinely provide Florida FR44 policies to clients standing at the DMV. We can even fax your coverage immediately. You won't find a more professional agency with cheaper pricing anywhere in the State of Florida. You'll get the Best Advice and the Fastest Florida FR44 Filing! All of the companies we work with must provide the minimum coverage requirements. Therefore, what we're really trying to find is the lowest-priced plan. What if I Let my Florida FR44 Policy Lapse? You're not going to like the answer to this one. If your policy should lapse, you will probably have three additional years added to your requirement. It doesn't matter if you've done everything you're supposed to do for two and a half years prior to the lapse. If you let your policy cancel, you're in for a lengthy and expensive consequence. The bottom line; never let a Florida FR44 policy lapse! What is the difference between FR44 insurance and SR22 insurance?? Currently, there are only two states that require FR44 insurance filings, Florida and Virginia. The FR44 is a proof of insurance certificate that requires the driver to have higher liability limits on the auto insurance policy due to a DUI. Driving under the influence in one of these states will result in much higher car insurance premiums and a three year period of filing an FR44 form. The cost of the filing is only $25-$50 but having the DUI on your driving record will cause the premiums to increase dramatically. We are sometimes asked about "cheap sr44 insurance". There are two major types of Policies. There is an FR44 policy which is usually required only after a conviction for a DUI or DWI conviction and there is an SR22 policy which is required by the Florida DMV after certain driving infractions. Why Work with the Florida FR44 Leaders? Unique situations are never unique to us. We've heard thousands of stories and we've solved thousands of problems. We recommend the course of action that works for you... even if it means less commission on our end. What works well for someone in Miami, may not work well for another person in Tampa or Jacksonville. Choosing an agency that specializes in the FR44 market is critical. The FR44 Insurance Market is what we do... and we do it very well. A common mistake among people looking for Florida FR44 Insurance is that they mistakenly think it's called Florida SR 44 insurance. This is a common error, but rest assured, it's not a Florida SR 44... it's a Florida FR 44. What these people are referring to is Florida SR22 Insurance, which is for non-alcohol and non-drug-related driving suspensions.